The Internet is a platform of ceaseless innovation that has transformed our lives in a remarkably short time. And the United States has led that revolution: of the 15 largest websites in the world, 10 are American. But all that is now under threat. In February 2015, the Federal Communications Commission imposed extensive regulatory controls on this vibrant digital universe in an effort to mandate "network neutrality." In this Broadside, Brian C. Anderson explains how the FCC's power grab for "neutrality" could be devastating for the most dynamic sector of the U.S. economy. Network neutrality is at odds with everything that made today's Internet the market cornucopia that it is, and we must protect it from the encroachments of Washington in order to foster its further growth. 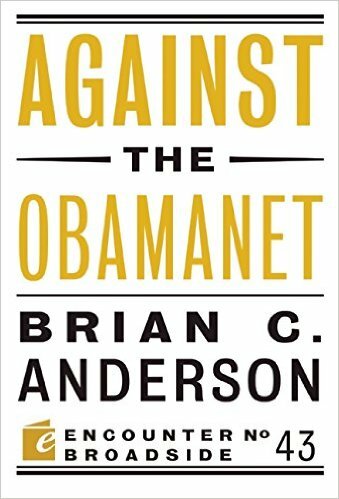 Brian C. Anderson is the editor of City Journal, published by the Manhattan Institute. He is the editor of The Beholden State (2013), co-author of A Manifesto for Media Freedom (2003), and the author of Democratic Capitalism and its Discontents (2007) and South Park Conservatives (2005).